Comments: Gift quality. Hardcover. Bound in fine modern black cloth. Gilt spine. Fine binding and cover. Clean, unmarked pages. Ships daily. 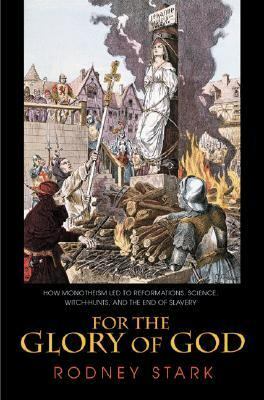 Rodney Stark is Professor of Sociology and Comparative Religion at the University of Washington.Stark, Rodney is the author of 'For the Glory of God How Monotheism Led to Reformations, Science, Witch-Hunts, and the End of Slavery' with ISBN 9780691114361 and ISBN 0691114366.